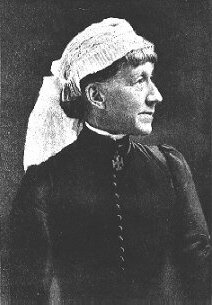 Alice Fisher was an early nursing pioneer: born in England, she trained at the Nightingale Training School at St. Thomas Hospital and served as a superintendent in several United Kingdom Hospitals before coming to the United States in 1884. She arrived at the Philadelphia General Hospital in 1884 to assume the Superintendent position in an urban "hospital" amidst conditions which cried out for order, cleanliness and discipline. 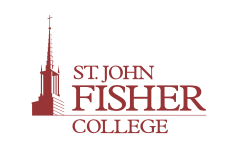 The transformation of "Old Blockley" under Miss Fisher's control, exemplifies why the concept of trained nurses was accepted in the late nineteenth century. Acting as an extraordinary agent of change, she established the training school at PGH January 1, 1885, with the first class graduating one year later. Much beloved during her brief tenure at " PGH ", she succumbed to heart disease as she had wished: while listening to nurses singing hymns. 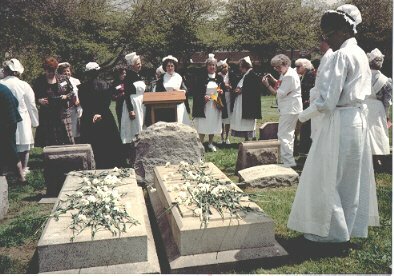 Miss Fisher is still honored today as nurses in the Philadelphia area hold an annual procession to the Woodland Cemetery where she is buried. singing hymns and leaving carnations on the grave of Alice Fisher has been continued. Higgins, L. P. (1988). Alice Fisher. In: Dictionary of American nursing biography. M. Kaufman, (Ed.). Westport, CT: Greenwood.